Timberlane’s vinyl shutters are a great choice for those seeking a low-cost way to boost curb appeal. Our vinyl shutters come in standard sizes and options. Personalize by selecting the basic style, color, and topper options if needed. 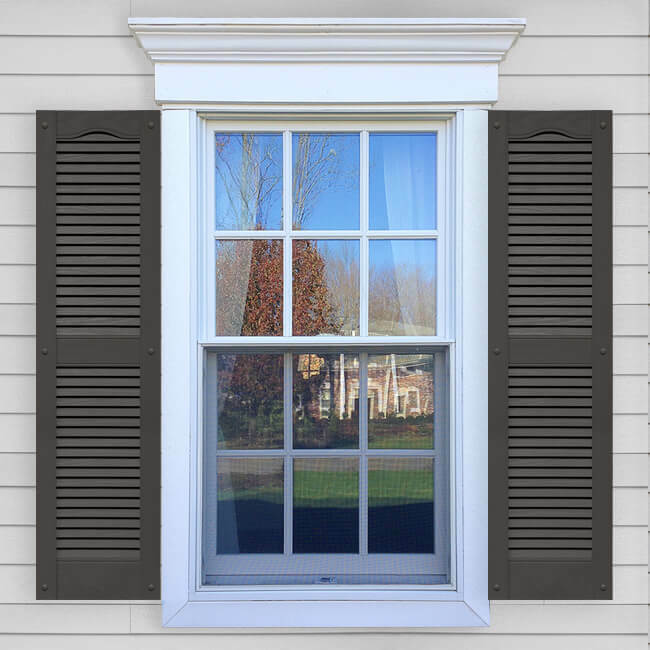 If you are looking for a customizable shutter, talk to one of our experts today to learn about our premium shutter options at 1-800-250-2221.